What happens when you take four girlfriends, stick ‘em in an SUV on a four hour drive to wine country? An epic weekend to remember, that’s what. 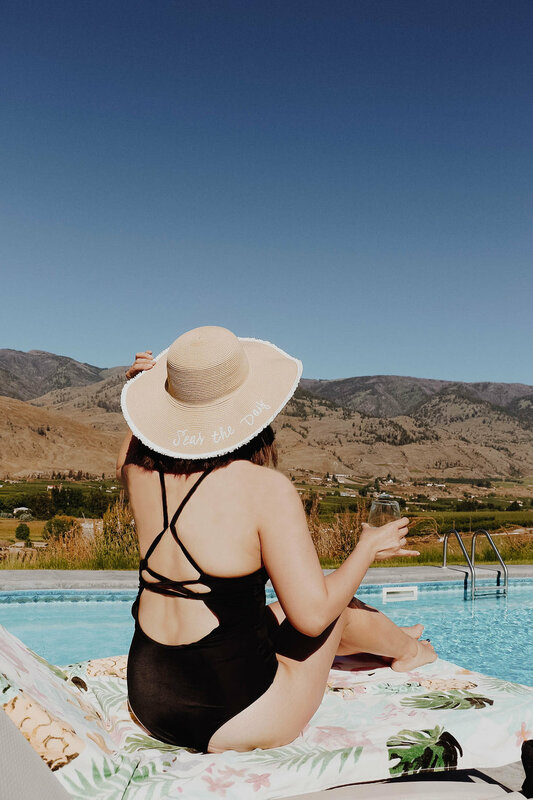 I had a rare opportunity to spend the most memorable weekend in BC Wine Country with four of the best girls I know: Lyndi Barrett of StyleCalling, Alicia Haque of GoLiveExplore and Jennifer Hallett of JeylaLoves. Although I’ve been going to the Okanagan every summer since I was a child, this trip was particularly special. 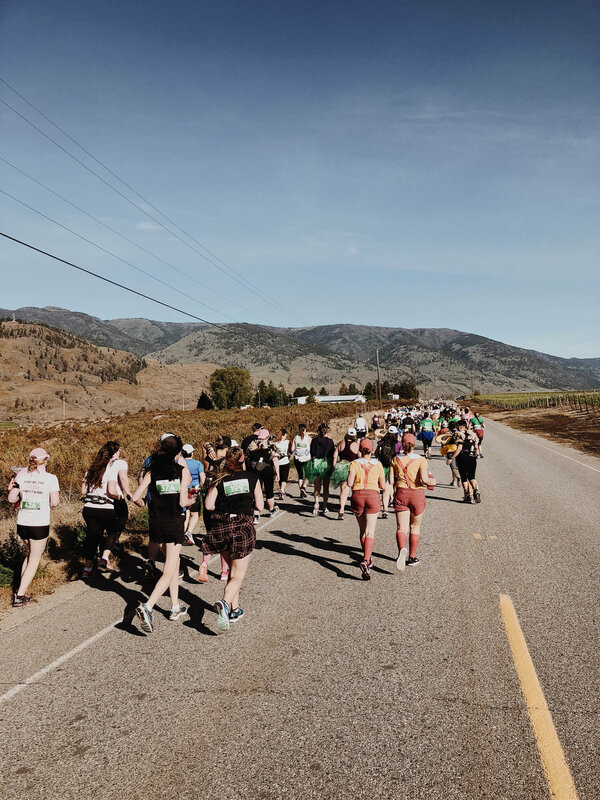 None of the girls on the trip had been to the region, in particular to an area where I consider is the heart of the Okanagan: Oliver and Osoyoos. Having essentially grown up there every summer, I’ve watched the area blossom into one of the most spectacular wine regions in North America. Not to mention an amazing place for recreation with its proximity to Lake Osoyoos and other surrounding lakes further north. Why I particularly love Oliver and Osoyoos - considered southern Okanagan - is its heat in the summer. Several degrees warmer than its northern end (Kelowna and Westbank territories), the ‘double Os’ - as I like to call them - offer the best temperatures from sunrise to sunset. This also has a significant effect on the wine that gets produced there. In fact, most of the BC wines I love are based in Oliver and Osoyoos. But more on that later. 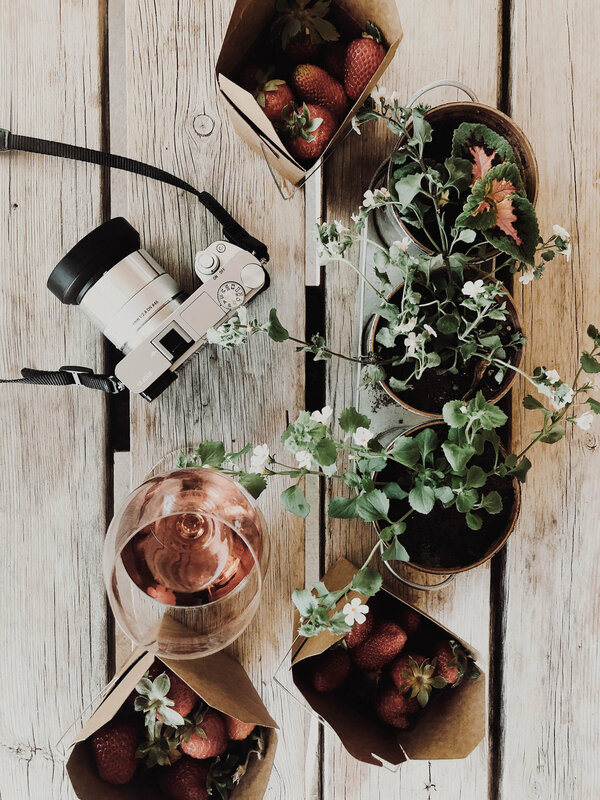 This girls’ trip was centred around the Half Corked Marathon: an 18-kilometre trek meandering through glorious, sun-soaked vineyards and an array of integrated winery activities. The marathon is one of the most highly anticipated events in Canada and in fact, was awarded Event of the Year at the 2017 Canadian Tourism Awards. 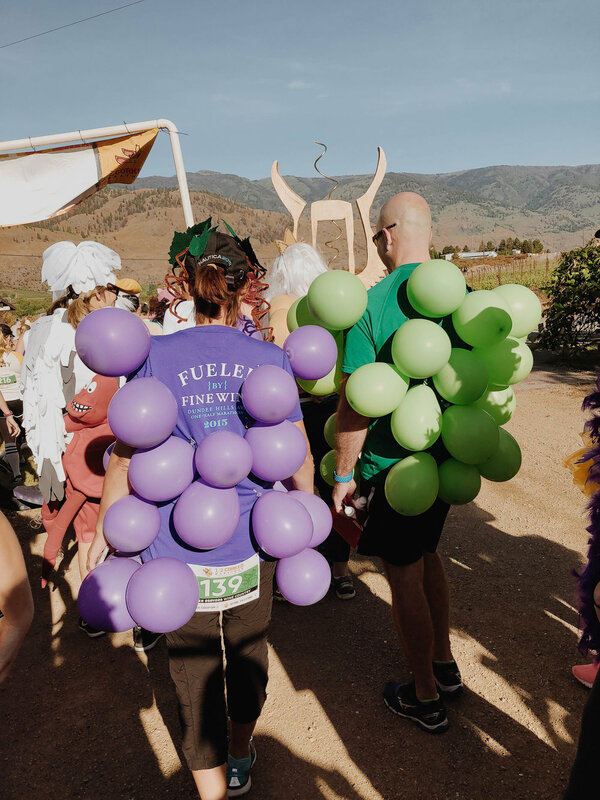 It’s a fun event draws racers from around the world and encourages participants to don wild costumes during the race while also stopping to sample fine wine and award-winning cuisine along the race route. Among the pre-race events, there’s also the Primavera dinner, comprised of local, seasonal dishes and a lively party at the finish line. We had a spectacular three-night stay in the private vineyard residence at Black Hills Estate Winery. This luxurious four-bedroom wine lodge is nestled among the vines of Black Hills Winery, one of my favourite wineries in the entire Okanagan. Their guest house is only reserved for family and friends and so not normally accessible by the public - so we felt incredibly blessed to have this once-in-a-lifetime opportunity to take in panoramic valley views across its three outdoor patios and a beautiful outdoor pool. 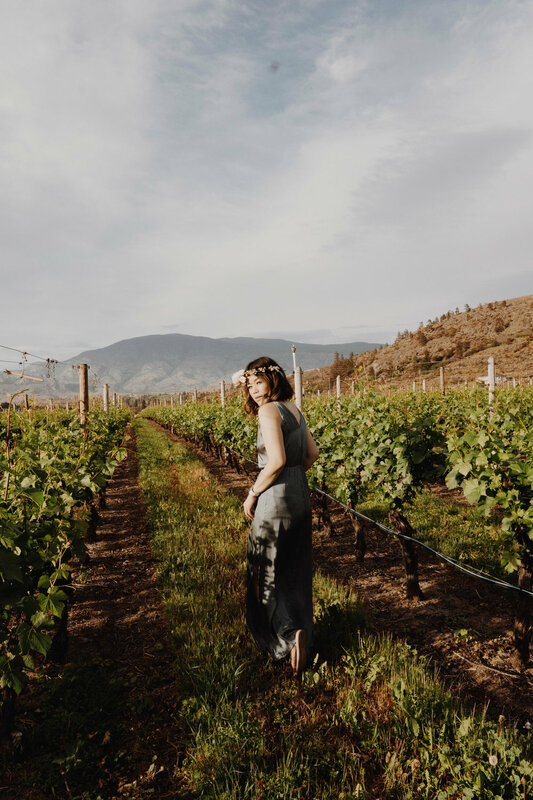 Black Hills Estate Winery produces some of the most exceptional wines in the country, being located on the famed Black Sage Road, thus in the middle of Canada’s only official desert. The resulting microclimate is one of hottest, driest and sunniest sites in the country. In fact, with its northern latitude, they get more sunlight hours than Napa Valley in the key growing months of June through August. This provides ideal growing conditions, yielding Bordeaux and Rhone varietals. One of my favourite wines in my cellar is the Black Hills Nota Bene. A blend of Cabernet Sauvignon, Merlot and Cabernet Franc, this wine can stand up to some of the great Old World blends from France and Italy. As part of the festivities, we took part in the pre-race Primavera Dinner. We first arrived at Stoneboat Vineyards for a pre-dinner reception followed by a beautiful sunset walk through the vineyards next door to Oliver Twist Estate Winery where the Primavera Dinner was taking place. The legendary Joy Road Catering provided the incredible selection of pastas and salads, served family style. If you’re ever in the Okanagan Valley, do make sure you try and take part in one of Joy Road’s alfresco dinners. Keith and I went to one a few years ago and it’s truly magical. 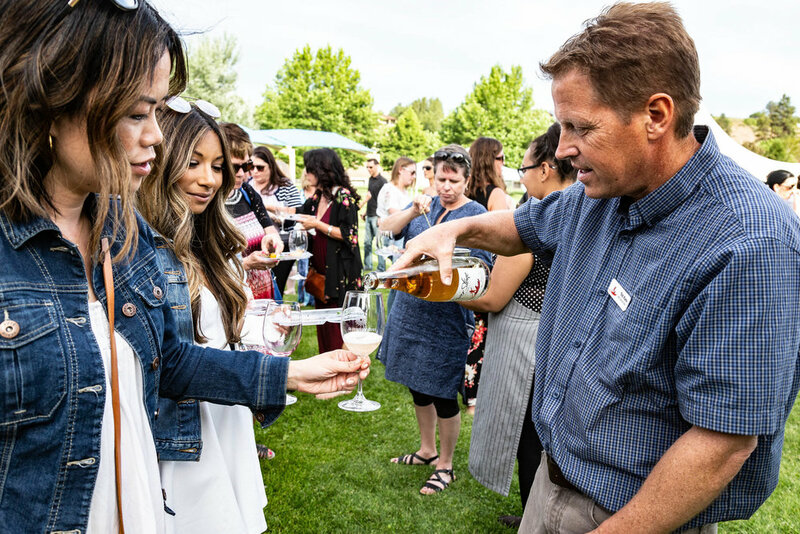 Imagine a 10-course dinner featuring locally sourced products paired with the best wine of the region, all in a long-table outdoor setting on a bluff, overlooking Skaha Lake. We highly recommend it. For the girls and I, this was an amazing evening of getting to know the other racers, enjoying delicious local cuisine and dancing to live music. Special thanks goes to Celsia Florist from Vancouver who provided us with the most beautiful flower crowns that were a hit among all the participants at the event. Race Day started early for us but it was a glorious day of sunshine, music, and groups of excited racers in all types of costumes and outfits. Thanks to Brunette the Label, for supplying us with cute Rosé Okay tees that were so à propos for the event. Together with our flower crowns, we made a cute team! There were also some amazing costumes from bundles of grapes to life-size Barbie Dolls (still in their boxes!). It’s amazing how creative some people can be! The overall theme was to have fun, after all, and racers stayed true to that objective! And all along the route, we were hydrated with wine (and water) and fed snacks that included some amazing appetizers by wineries that decided to go all out. By the time we were at the finish line, we celebrated with live music, more wine tastings and food trucks. It was quite a day and it wasn’t over yet, as there was more food and wine to come, with the Half Corked Marathon 10th anniversary dinner that awaited us later that evening. FOOD, FOOD AND MORE FOOD. OH, AND WINE. Once we cleaned up and spent some time relaxing poolside, we headed to the winemaker dinner catered by Chef Derek Ulhemann of Piggy’s BBQ, Oliver Eats and Vagabond Kitchen. This was an exclusive dining experience where winemakers and proprietors of some of the region’s leading wineries each hosted a table and gave participants an intimate perspective on their wine and the region itself. I had the privilege of sitting at the Desert Hills table and it became a great evening of fine eats and storytelling and a perfect way to cap off a great race day. We couldn’t ask for a better way to complete our visit to the Okanagan than with a full day of wine touring. We first arrived at Bartier Bros. where we felt, as a group, it had the best tasting rosé: just strawberries in a bottle! I have personally been to this winery once before and picked up a number of bottles. Michael Bartier, winemaker and owner of Bartier Bros, gave us a special tour of his vineyard and education on his approach to winemaking and wine growing philosophies. From the vineyards, we moved into the private tasting room where we sampled a number of white and red wines. Following Bartier, we moved north towards Covert Farms Family Estate - a winery I was unfamiliar with. There are so many new wineries popping up every year it’s so hard to keep track! Wine shop and tour manager, Jayna Walsh, gave us a personal 1.5 hour tour across this breathtaking 650-acre property. She taught us all Covert’s efforts toward sustainable farming of a multitude of fruit plus grapes for wine making. A certified organic farm, they’re incredibly passionate about what they do - and that really comes across in the tour itself, the beautiful grounds (that are very family friendly, by the way!) and in the beauty of its wines. Besides the highlight of touring around the property in their vintage red truck (sitting in the back - with wine, of course) we also got to pick strawberries in their fields. What a perfect way to get acquainted with their terroir! They also have a lovely outdoor patio to sip wine and nibble on charcuterie that’s also available. The last winery on our tour was also a new one for me - River Stone Estate Winery - a small, family owned and operated winery located on a small knoll in the middle of the valley, just south of the well recognized McIntyre Bluff and just north of Oliver. Ted Kane, the owner and winemaker, together with Charlie, his golden retriever, gave us a grounds tour of his beautiful vineyard. They planted a number of Bordeaux style grapes for their delicious red blend, called Corner Stone. As their winery name suggests, their wines come from the deep rock and gravel soils laid down following the last glacial recession. If you’re ever in the Okanagan and are looking for places to stay, they also run a B&B on the property. We ended our weekend with a dinner at the spectacular Sonora Room at Burrowing Owl Winery, one of the flagship properties in the southern Okanagan. I've been drinking their wines (especially their reds) for years and the food at Sonora Room never disappoints. Every time I leave the Okanagan I’m always planning my next trip back. There’s just too much to do and see. In fact, I’m about to return - this time with family - at the end of July. We’ll be staying at Spirit Ridge, our favourite hotel (it’s got an adult pool - yay us!) but also doing some boating, jet skiing and stand up paddleboarding. And you bet that we’ll also be returning to a number of these wineries plus exploring some new ones! Thank you to Indigo Chapters for their summer gear so that we could play and read by the pool; Celsia Florist for their stunning floral crowns; and to Brunette the Label for their wonderful Rosé Okay t-shirts for the race and You Can Sip With Us sweatshirts post-race to lounge around in. I’d also like to give a special shout out to the Oliver Osoyoos Winery Association and Destination BC for having us up for the Half Corked Marathon, Black Hills Estate Winery for hosting us in their amazing accommodations, and lastly, Hawksworth Communications for making this all possible. This was definitely one of the most memorable press trips I’ve ever done.